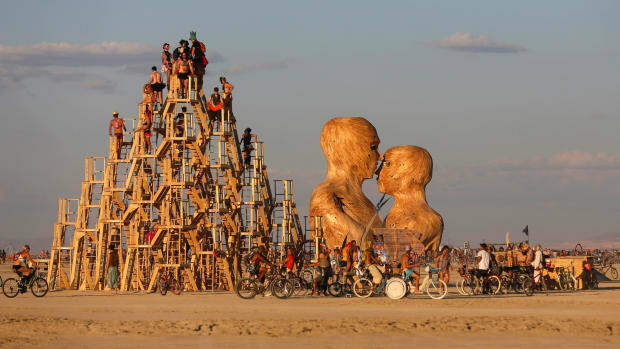 Burning Man ranked the highest for partying and other indulgences. 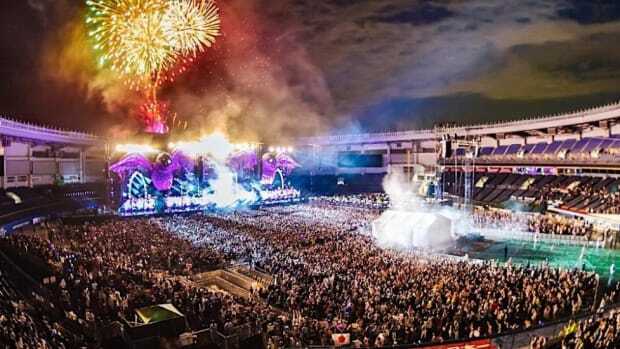 A survey conducted by marketing firm Fractl has drawn surprising inferences about some of the world&apos;s biggest festivals. 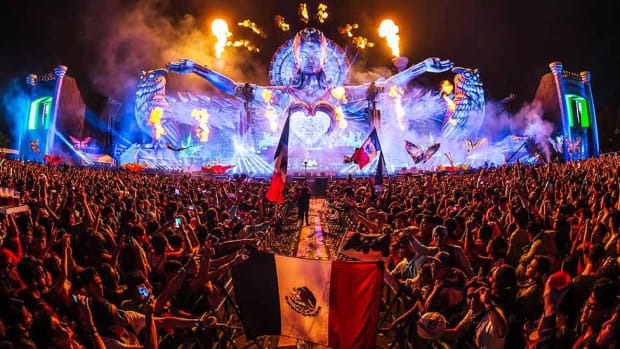 Attendees of Woodstock, Electric Daisy Carnival (EDC), Ultra Music Festival, Burning Man and others offered up data that, while preliminary at best, contradict some of the notions surrounding such events. 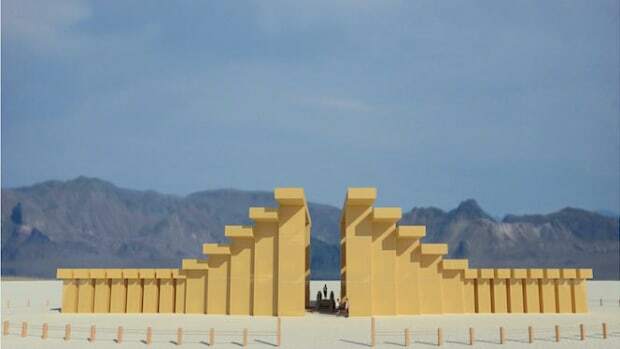 For starters, despite Burning Man&apos;s reputation as a "transformative" gathering, only 73.4% attendees surveyed for Music Festival Experiences Analyzed Over Time reported life-changing experiences. 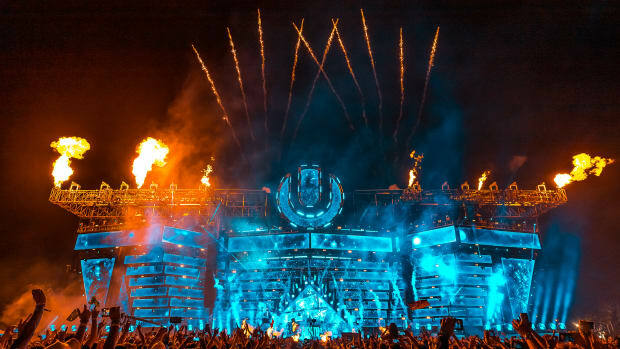 By comparison, 74.5% said the same of EDC and 78.4% said the same of Ultra. Burning Man did come out on top in two other categories. More of the surveyed attendees admitted to having partaken in drugs and alcohol than those of other events, and it also ranked as the most conducive to new friendships. Meanwhile, EDC beat out all the other festivals as most artistic and spiritual based on their responses. 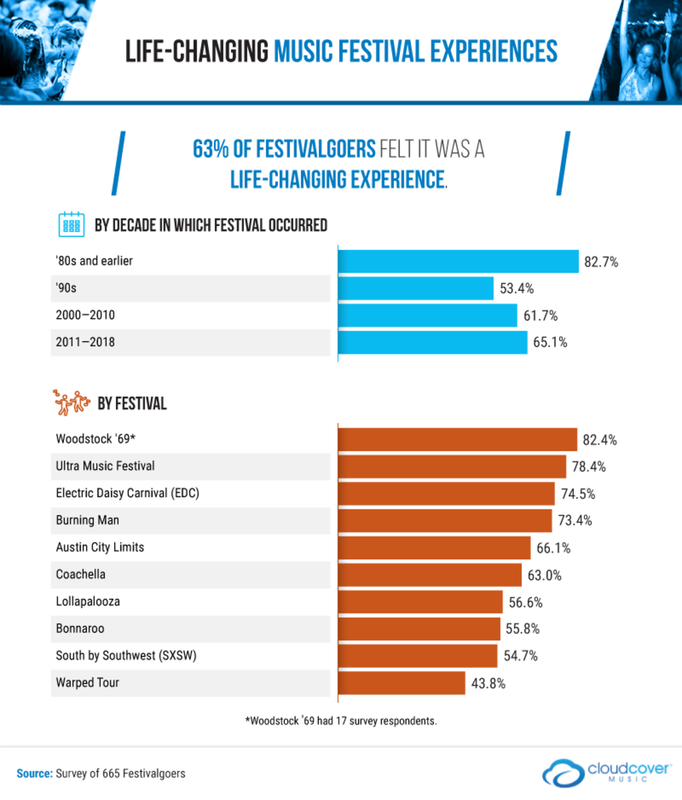 Music Festival Experiences Analyzed Over Time should not be taken at face value, however. Cloud Cover Music funded the study, and the background music streaming platform arguably stands to gain more from the findings generating buzz than from them leading to statistically conclusive discoveries. 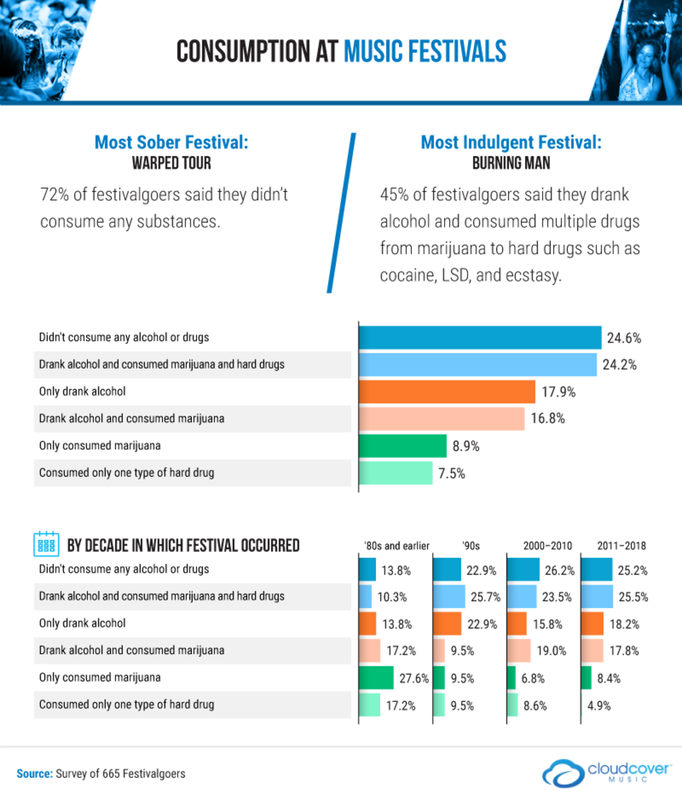 The responses of only 665 festivalgoers were included - an even smaller number than the already cursory sample sizes used in previous studies conducted by Fractl. At that, the number of participants who attended each individual festival was even smaller. The infographic itself discloses out that only 17 respondents who attended Woodstock were surveyed to determine that the iconic 1969 festival averaged most life-changing at 82.4%. A spokesperson on behalf of Fractl told EDM.com that only 65 Burning Man attendees&apos; answers derived the event&apos;s own figure - although to the content marketing agency&apos;s credit, it does fall quite close to findings published in 2016 by the Black Rock City Census. 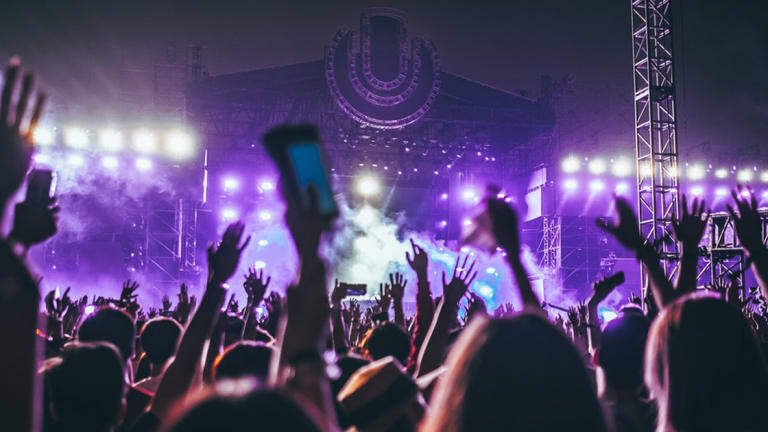 The full Music Festival Experiences Analyzed Over Time study includes other data gathered from the 665 respondents, and it at least highlights how compelling the findings of a more conclusive study could be. 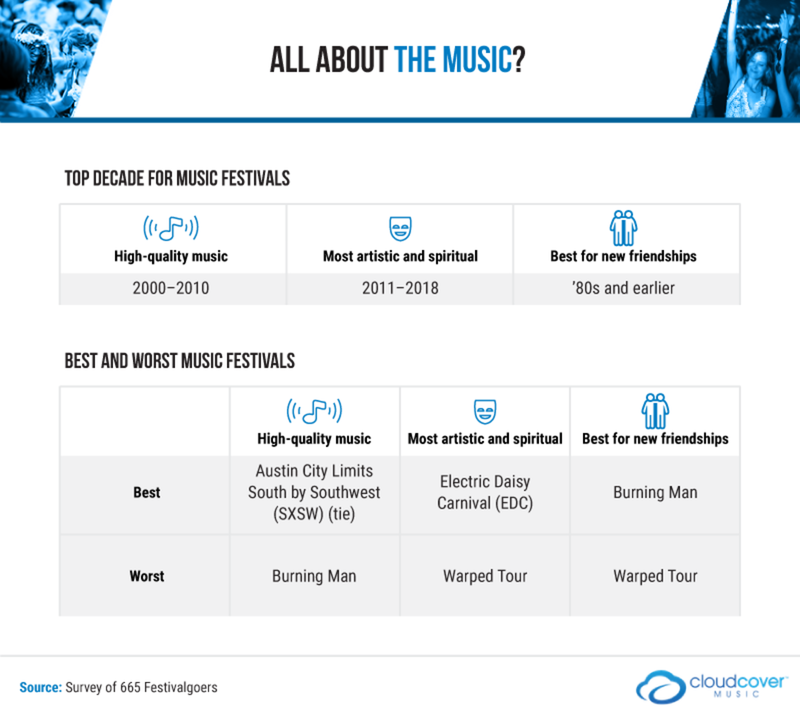 Read the rest of the infographics on the Cloud Cover Music website. Ahead of today's city council meeting, Miami's city manager has compiled a report. 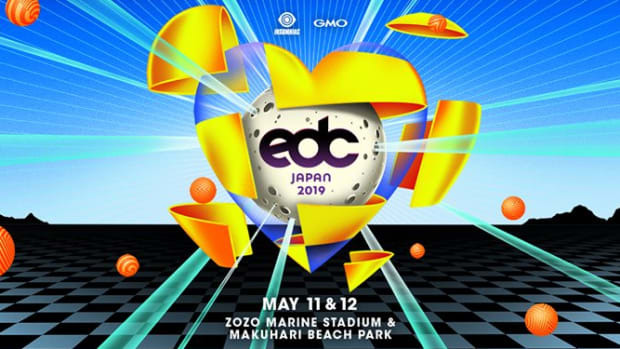 Electric Daisy Carnival is returning to Toyko! This would be a long-term expansion (a decade) from 80,000 to 100,000 attendees. Alison Wonderland, Armin van Buuren and Skrillex are billed this year.